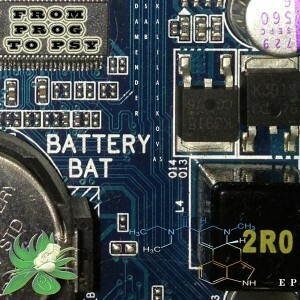 Battery Bat from Ohm Ganesh Pro is a collaboration between four good friends from Israel: Damender, Kalilaskov AS, and S.A.B, formed by Damender, Boris Yaufman of Dive Carp., and Arkadiy Leschenko. One day they all met in a studio in Tel Aviv and started to work on these tracks, from progressive psytrance to full-on dance floor tunes. Mastered by Suntekk Mastering, France/Germany, with artwork by Kalilaskov AS. MP3 Download | FLAC Download | WAV Download · Download count: 5,871. Good work! I like your style, you guys!